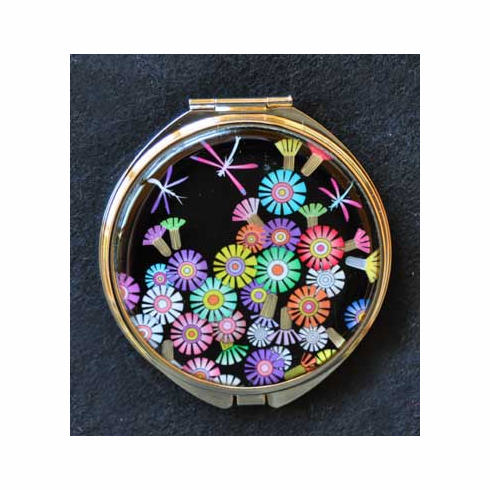 Dragonfly Mirror Compact - Beautiful cut shell inlay is used to create the exceptional beauty of this compact. Open the compact to display two mirrors, one normal reflection and one magnified, measures 2-3/8" in diameter. Gift boxed.